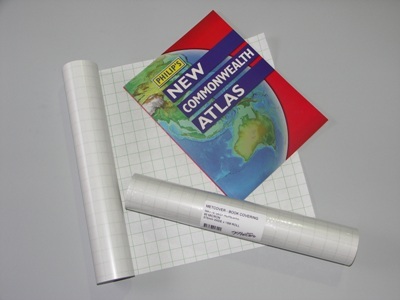 Metcover Matt Self Adhesive Book Covering x 15 Metre Rolls in a range of widths. A popular type of Library Supplies, Metcover Matt Self Adhesive Book Covering is a 85 Micron premium high quality adhesive vinyl that is initially repositionable. Metcover Matt Book Covering has a matt finish and a Grid marked release paper that assists in the covering process – allowing easy alignment of books and cutting in straight lines. Designed for use in Libraries , Metcover Matt Book Covering is easy to use and will lengthen the life of your books. Manufactured in Europe, Metcover is used widely by Libraries for School Book Covers. Metcover Matt Self Adhesive Book Covering is Available in a range of widths to suit different book sizes – see links and pricing below. Metcover Matt Self Adhesive Book Covering Range.